When I reach for a lipstick, I generally stick to natural looking colours, preferring not to draw attention to my larger-than-your-average lips. But when I had the opportunity to test out Klara Cosmetics’ cult product, Kiss Proof Lips, in the brightest shade of pink, I threw away my concerns because I had heard tales of the product’s magic. I have to admit, having tried hundreds of products that are supposed to be amazing, I wasn’t expecting much when I screwed off the lid and when I first applied it, my immediate thought was ‘sigh, just your usual gloss’, but 30 seconds later, the product showed its true colours - literally. The product goes on wet but quickly dries, giving this amazing matte colour that, no matter how hard you try, doesn’t transfer – hence the name. It looked so amazing that I just had to share a selfie on Instagram, which is something that I rarely do (seriously, I’m not usually a selfie taker), and I was actually disappointed when I had to take it off before bed. 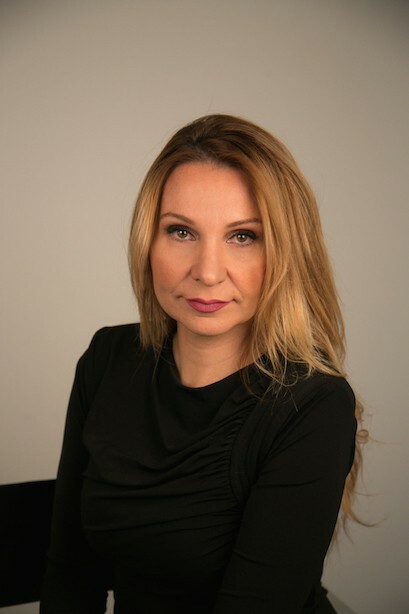 I was so impressed that I just had to get inside the head of Klara Cosmetics owner and founder Klara Sabotkoski. Klara started her journey in the hair and beauty industry 20 years ago and currently runs six companies. Klara Cosmetics launched in 2013 and the range sold out within its first week. Missy Confidential: Klara, you've got quite a portfolio and you seem to be an expert in a lot of areas but something drew you to cosmetics... What was it that made you branch into the world of beauty? Klara Sabotkoski: As a woman I was frustrated with beauty products that didn’t perform. I created KC full of long wearing products and 100% colour pigmentation for maximum saturation and intensity. I wanted to bring professional quality cosmetic products into the hands of the average woman. I have been a professional hairdresser and makeup artist for twenty years so cosmetics had always been a passion of mine and I wanted to bring my own brand to the market place. MC: What makes Klara Cosmetics different to other brands? KS: Definitely the 100% colour pigmentation in all products. This ensures intense long wearing colour for the whole day. We are professional products brought to the average woman so she can experience professional products at a reasonable price. MC: Does the brand have a cult product and if so, what is it and why has it been successful? KS: Kiss Proof Lips, our 24 hour long wearing lipsticks. They perform and last all day. You can wear the product with total confidence and forget about it, knowing it stays perfectly on the lips. Women love the on trend colour range full of high voltage shades. MC: What beauty products do you always have in your handbag? KS: Kiss Proof Lips for instantly bright long wearing lips - it gives you a professional made up look in seconds. Klara Cosmetics CC Cream 8 in 1 foundation - it has buildable coverage so you can go from day to night and it also t contains a primer for all day wear, as well as SPF 15. Magic Mascara containing lash fibres gives you an instant full lash look. MC: If you could see any person in the world wearing your products, who would it be and why? KS: Kim Kardashian. She is always immaculately groomed and very stylish. She loves to contour her face, so I am sure she would be a huge fan of our Contour Me Duo Palette. MC: What's next for Klara Cosmetics? KS: Reset, the new step in skin prep. It is a new ground breaking gel innovation formulated to mimic an instant microdermabrasion in a bottle. Reset exfoliates your skin, unblocks pores and diminishes the appearance of fine lines instantly. It gives your skin a new surface that is radiant, smooth, renewed and ready for subsequent applications of makeup or skincare. It will be launching in May. MC: What does your daily beauty routine look like? KS: I always prepare my skin by cleansing, toning and moisturising then follow with KC Zero Pores Primer. It instantly blurs pores, mattifies and makes your foundation last all day. I then apply KC CC Cream which is long wearing but provides a stunning demi matt finish. For a day look I apply KC Matte Eyeshadow in #26 Natural Tan all over the lid then line the bottom and top lash line with KC H20 Waterproof Eyeliner in Black. I then apply KC Kiss Proof Lips in #03 Passion Pink for a beautiful warm pink tone. I finish with a touch of KC Shy Blush on the cheeks for a healthy glow. MC: When you are on the go, what products do you take with you and why? KS: Can’t live without my Kiss Proof Lips for instantly beautiful lips and Magic Mascara to instantly dress the eyes. MC: What are your three top beauty tips? KS: Don’t be afraid to try a bright lip colour. It makes your lips pop and is totally on trend. Master the smoky eye look. It can be worn lightly for day and intensified for evening glamour. Always use a primer. It perfects your skin, makes pores invisible and gives extra staying power to your foundation.